Due to the cosmopolitain nature of this part of Spain, there is a wide range of education options available to children of all ages and all nationalities. There are many International Schools in Malaga to chose from. Some of these International Schools follow the British System but are not regulated by OFSTED. They are monitored and regulated by the Junta de Andalucia Consejeria de Educacion (Junta de Andalucia Education Department). There are many towns offering education at International Schools in Malaga and a high percentage of them in the Marbella area and consequently fees in this area tend to be higher, however higher fees are not a reflection of higher standards. This is just one of the relocation options that we offer. 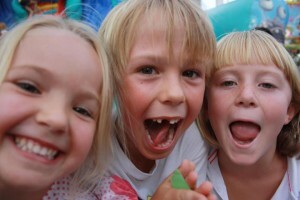 However we believe that the happiness of the children is the most important part of any relocation to any country. The reason is very simple, if the children are not happy then the move will not work. The school that the children are going to and the educational options that they are offered are therefore paramount in any move abroad. If you have decided that you would rather send your children to one of the State Schools in Malaga rather than a private or international school, you may wish to check out the Junta de Andalucia’s website. It provides a concise list of state schools in Malaga and all provinces of Andalucia. Although only in Spanish, the website is relatively self explanatory. By inputting the post code or the village/town where you are planning to move to, you can see the schools in that area. 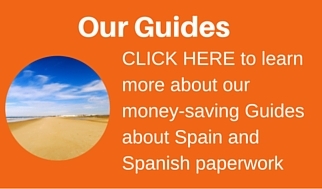 See the Junta de Andalucia list of education centres HERE. Please note than in Andalucia, the State school timetable for lessons is generally from 9am until 2pm. In most schools, there is a canteen option (*Comedor) (at extra cost) and extra curricula activities (*Actividades Extrascolares)(at extra cost) and an early morning drop off option(*Aula Matinal) (at extra cost). In other parts of Spain the schools close for a 2 hour lunch and continue lessons in the afternoon. Private/International schools tend to follow the traditional UK timetables of 9am until 4pm or 5pm. If you would like more information about state schools in Malaga, do not hesitate to Contact Us. My two daughters and i will be moving to south of Spain in August for 1-2 years , aged 5 and 9 i will be sending them to a state school, I’m in the process of getting them Spanish lessons but cant seem to find an ideal school as i want to plan my accommodation closest to where they will be attending, also i don’t drive so ideally would like you to recommend somewhere close to all amenities. I have heard that school enrollment takes place early in the year and am worried i have missed the deadline?. also am worried about the time Im moving over just before school term and the length of time i have heard it takes for documentation to come through world it even be possible to start in September any advice would be greatly appreciated. Do you have a similar summary for private schools in the area? Hi Lisa, hope your well…. My family are wanting to move to Spain by the end of the year or begginin of the new year. We have found several places to rent (before we buy), but i have a 12 year old son who i need to get into school. I have not got the funds at the moment to send to private school. Do you know any schools around the Malaga area that he could go to? Hi we have been thinking about moving to spain. I have a 6 year old Scottish boy. Would there be a choice of schooling more suited to him if he does not speak Spanish? He is also a type 1 diabetic, would this be an issue during school? We’re looking for a marina in Spain, preferably on the southern coast, where we can put our kids (ages 2.5, 5.5 and 9.5) in school for several months before starting a circumnavigation. We will be living on our boat so will not have access to anything other than public transportation. Any suggestions? I’m not sure how to go about locating marinas that are walking distance from good schools . . . Ideally, the younger two are in a Spanish school and the older in either a Spanish school or bilingual. All have studied Spanish from age 1 – 4ish with a Peruvian family but have not really had the chance to practice. We’re not really looking for international schools – would like the kids to experience the local language and culture. I’ll take any information you have to offer. If you know areas that would be kid-friendly and not too expensive, I can narrow down the options and look for marinas and then schools. Also – if you have any suggestions on the Schengen visa. We’re US citizens and would rather not jump around if we don’t have to. I would be happy to enroll in a Spanish class if that helps (I thought I saw that students could apply for longer-term visas).